Encompassing a vast area of California, tourists vacationing in the Napa Valley region could easily spend their entire holiday doing nothing other than touring the vineyards and winery attractions, and still probably have only managed to reach a tiny percentage of those on offer. However, if you have had your fill of wine tasting, day trippers based in the Napa Valley will find that the allure of San Francisco and its worldly attractions is hard to resist. 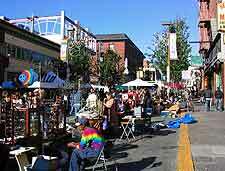 Close to both the Napa Valley and San Francisco and a number of equally appealing cities, such as Berkeley, Oakland, Sacramento and San Jose, each of which comes with its very own set of unique attractions and sights to savor. A little further away is the stunning Lake Tahoe, where you will find beaches, casinos, paddleboats and plenty of scenic hiking trails. 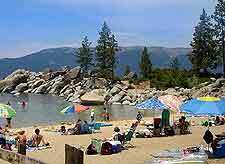 Lake Tahoe is an awesome expanse of beautiful water and lies around 171 miles / 275 km to the north of the Lake Tahoe, being easily reachable within three hours and surrounded by picturesque rugged mountain peaks. 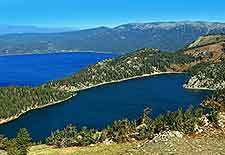 The lake is part of the Sierra Nevada area, with Tahoe City marking the largest town on the northerly shore, close to Truckee. Lake Tahoe straddles the California / Nevada stateline, with many brightly colored casinos being located on the easterly and southerly side, in Nevada. Notable attractions include the Emigrant Trail Museum next to Donner Lake, the DL Bliss State Park, and the Emerald Bay State Park, near to the Tallac Historic Site. Many skiing resorts surround Lake Tahoe, such as the Alpine Meadows and the renowned Heavenly Ski Resort. Berkeley denotes the radical core of the San Francisco Bay Area and is home to the historical University of California at Berkeley complex, which was founded as far back as 1868 and has a student population now exceeding 30,000. Free guided tours of the campus and its many attractions are available each day and depart from the Visitor Services Center at the University Hall. The onsite Berkeley Art Museum on the Bancroft Way is always of interest to day trippers from the Napa Valley, as are the restaurants within the Gourmet Ghetto on Shattuck Avenue. Attractions within the city itself include the Berkeley Marina and the Rose Garden, while close by, the expansive Tilden Regional Park comprises the Regional Parks Botanic Garden. 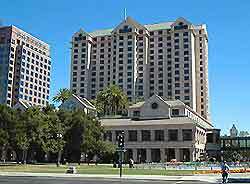 A major Californian port city sited approximately 38 miles / 61 km to the south of the Napa Valley area, Oakland is known for its vibrant and attractive waterfront neighborhood, which is very much centered around the Jack London Square. 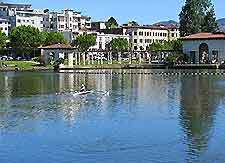 Lake Merritt is amongst the main attractions in Oakland and offers a true taster of Venice, Italy, with gondola rides always proving a big hit with tourists. Also popular and the 19 historical buildings within Oakland's Preservation Park, the regular shows at the Paramount Theater, and the art works on display at the Museum of California, which stands along Oak Street and also contains an interesting natural history section. As the proud state capital, Sacramento is where you will discover the impressive California state capitol building, which dominates much of 10th Street and dates back to the 19th century. Within the state capitol are a number of quality tourist attractions, such as the Assembly Rooms, the Senate Rooms and also the Capitol Museum. Children will always enjoy spending time at the Sacramento Zoo, or close by at the Fairytale Town theme park. Alternatively, a relaxing cruise onboard the Spirit of Sacramento Riverboat makes a very pleasant way to spend an afternoon. 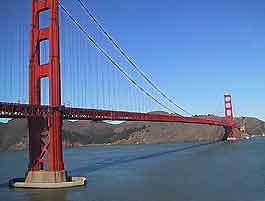 With world-famous attractions such as the Golden Gate Bridge and Alcatraz Island, San Francisco is one city that should appear at the top of everyone's day trip itinerary, especially since it is so close to the Napa Valley. The spectacular sights, sounds and hills of San Francisco are just one hour from the Napa Valley, being situated approximately 45 miles / 72 km to the south. Whilst just a day or two really is nowhere near enough time to properly explore this epic city, there are some places of interest within San Francisco that should simply not be overlooked. These include the Aquarium of the Bay, the iconic zigzagging Lombard Street, Pier 39 at the Fisherman's Wharf, and the beautifully landscaped Hakone Japanese Tea Garden at the Golden Gate Park. Whilst San Jose cannot help but be overshadowed by a number of nearby cities, including of course San Francisco, this city really does warrant a visit and at least a day trip. San Jose is roughly 82 miles / 132 km to the south of the Napa Valley and is home to very unique attractions, such as the world's biggest outside Monopoly board within the Guadalupe River Park, and the very strange and confusing Winchester Mystery House. Fairground rides, amusements and various creatures await at the Happy Hollow Park and Zoo. For the grown ups, the Rosicrucian Egyptian Museum and Planetarium is always very appealing, while all ages are virtually guaranteed fun at the Children's Discovery Museum of San Jose, and also the Technology Museum of Innovation. 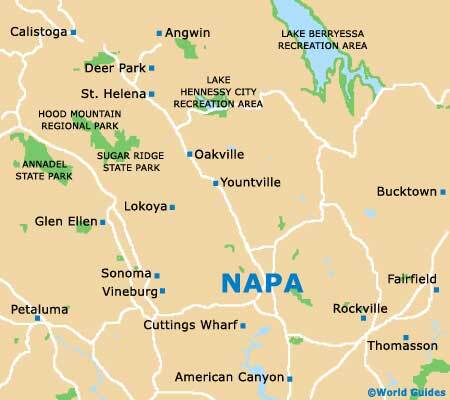 Santa Rosa stands within the suburbs of the Napa Valley, being just 27 miles / 43 km west of the city of Napa itself, where it has long been the biggest city in the whole of California's Sonoma County. 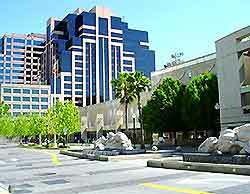 The shopping scene in this city is well developed, with the main shopping malls including the Coddington, the Montgomery Village and the Santa Rosa Plaza. Apart from the surrounding wineries, which form part of the acclaimed Sonoma Wine Country, tourists will be able to explore attractions such as the Charles M. Schulz Museum, the Luther Burbank Home and Gardens, and also the animals at the Safari West wildlife preserve.